This wider shape of this vase means you can create slightly larger displays of short-stemmed flowers. The distinctive design is great for those with an eye for contemporary style. The grooved base that defines this vase is the signature of the Wibble collection. 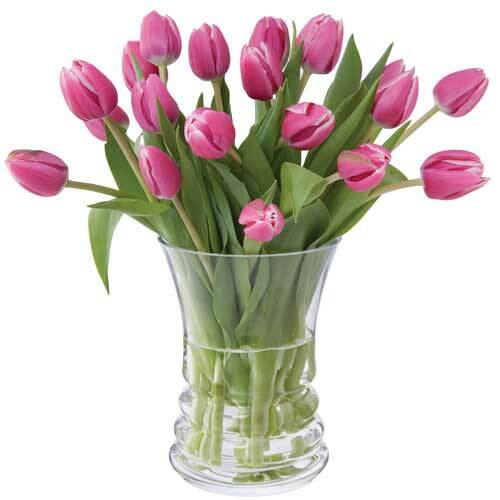 It distorts the stems of your flowers, accentuating the vibrant colours of the flowers. The vase was designed by Hilary Green, who has created some of Dartington's most popular pieces.